B.C. Rich will introduce at NAMM 2014 two brand-new Kerry King Signature guitars. B.C. Rich Custom Shop has re-introduced the Bich 10 Supreme with mahogany body and neck-though construction, with a 24-fret two-octave neck. B.C. Rich introduced two new Archtop electric guitar models based on the company's Mockingbird and Eagle designs. B.C. 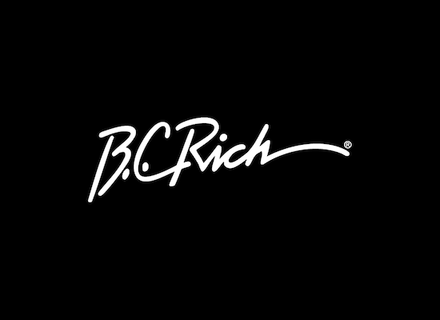 Rich has introduced several new signature models created in collaboration with Kerry King, guitarist for Thrash Metal titans Slayer. Commemorating its 40th Anniversary, B.C. Ric announced a new series of handcrafted instruments to mark the milestone. Inspired by Kerry King, the Beast V is described as "an unholy alliance between B.C. Rich's famous Beast body shape and Speed V design." B.C. Rich announces the release of the Chuck Schuldiner Tribute Stealth guitar in two versions, first as a standard model but also in a Handcrafted Custom Shop version.